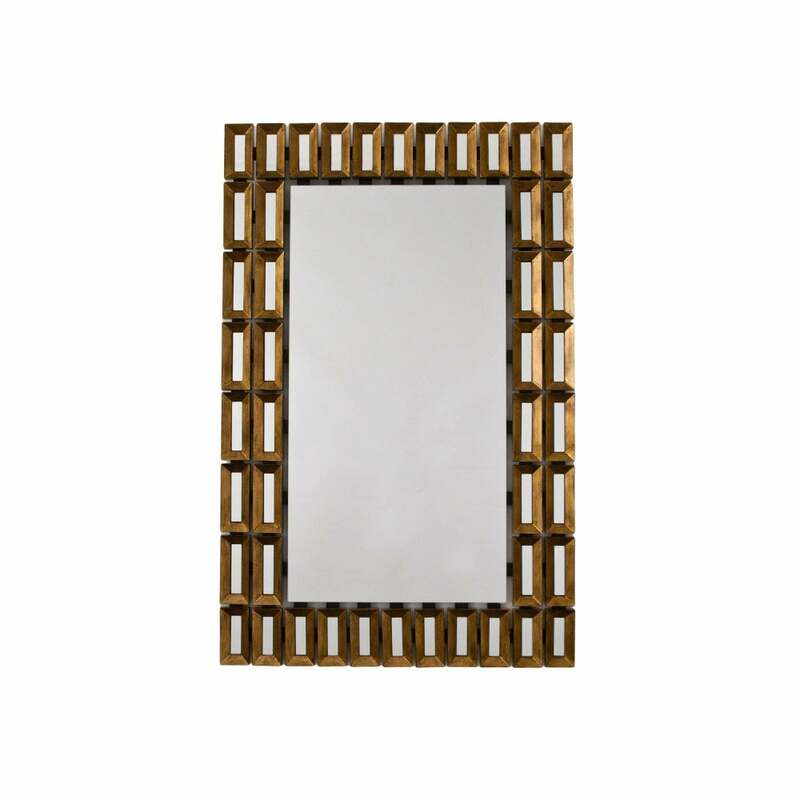 Hand-sculpted by skilled artisans, the Tuscany Mirror by RV Astley presents a contemporary take on an art deco mirror. Featuring a rectangular, geometric frame with cut-out details, hang portrait or landscape depending on your room requirements. Inject a warming metallic hue into a monochrome scheme and position over a fireplace to create a focal point within a bedroom or living space. A versatile design with endless appeal, the Tuscany Mirror will suit both traditional and modern interiors whether a chic city apartment or a beautiful farmhouse.